It's not too late to register for CannaCon Seattle and see the latest industry advances. 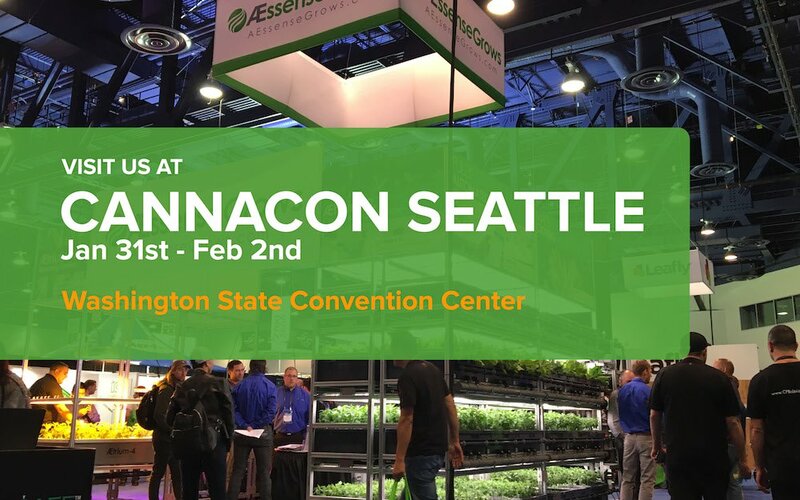 The show runs Thursday through Saturday, and the AEssenseGrows team will be there, at Booth 315A in the Washington State Convention Center, showcasing our automated precision grow system. Visitors who stop by our booth can see in action our AEtrium-4 production blooming machine, our AEtrium-2.1 SmartFarm for cloning and veg, and our recently introduced AErix LED grow lights. They'll learn about the benefits—like faster time to harvest and consistent yields—they can expect to see with the sensor-driven aeroponics system. Organizers bill the show as "our flagship expo and largest industry event in the United States. Join hundreds of exhibitors and over 12,000 attendees at the global marketplace for education, innovative products, and businesses serving the cannabis industry."